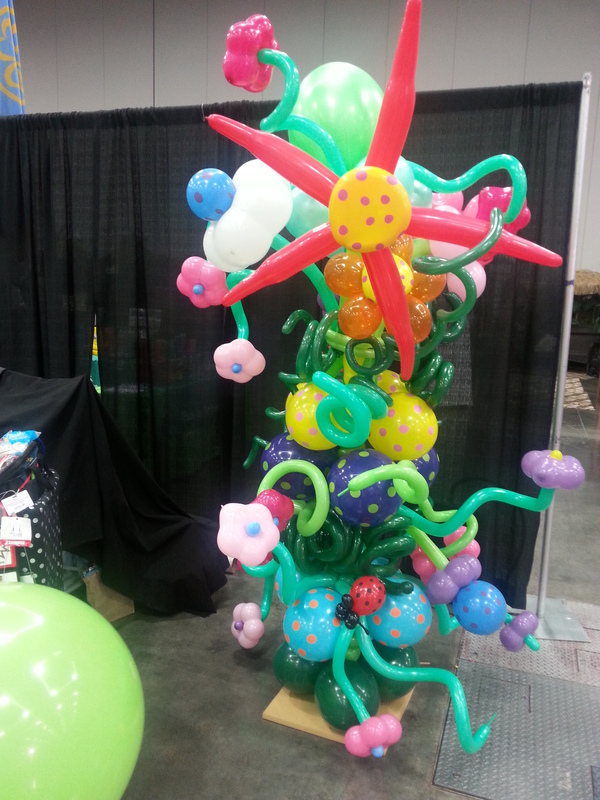 Balloon TwistingLife size monkey hats, Santa Claus hats, cupid dolls — you name it, I can do it! Jokes & MagicKnock-knocks, stories, puns: you’ve got laughter in you, and I’ll free it from you, one joke at a time! Close up slight-of-hand pocket magic tricks. 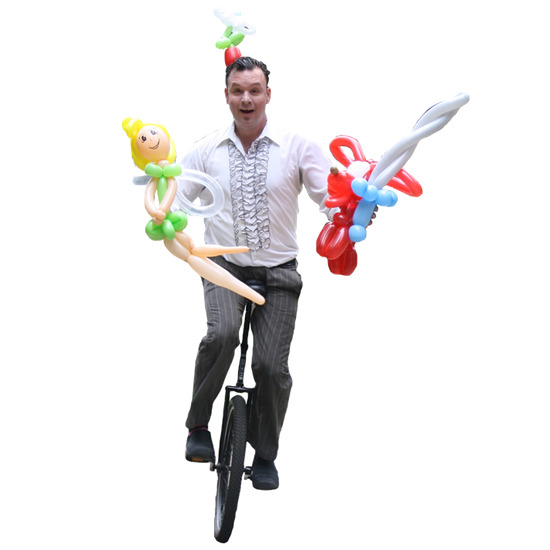 Juggling & UnicyclingJuggling is awesome. 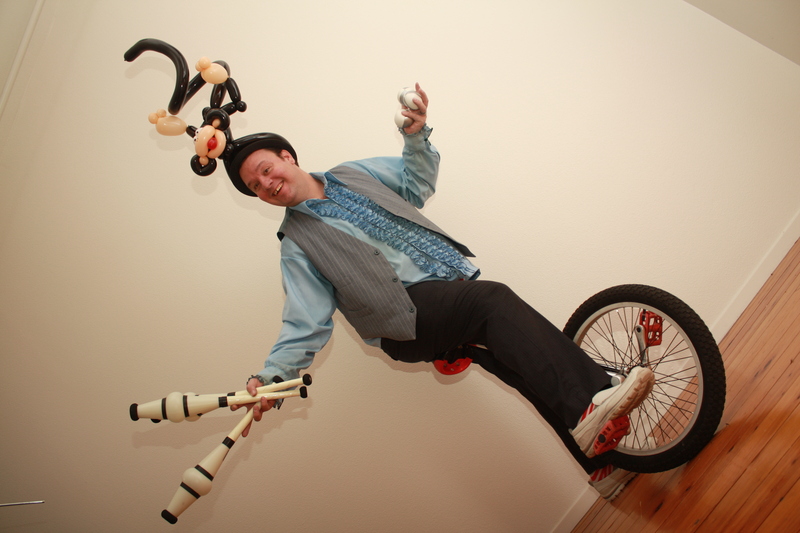 Unicycling is rad. With me, they’re the life of the party! Face Painting & Tattoos by ChandraMy lovely wife, Chandra (Annie), is also available for hire, rounding out the deluxe Tuxedo Jimmy experience with airbrush face painting and airbrush temporary tattoos! Tuxedo Jimmy's satisfied Portland & Lake Oswego clients include Daimler Trucks, Portland State University, and orthodontist Dr. Jeffrey Sessions. 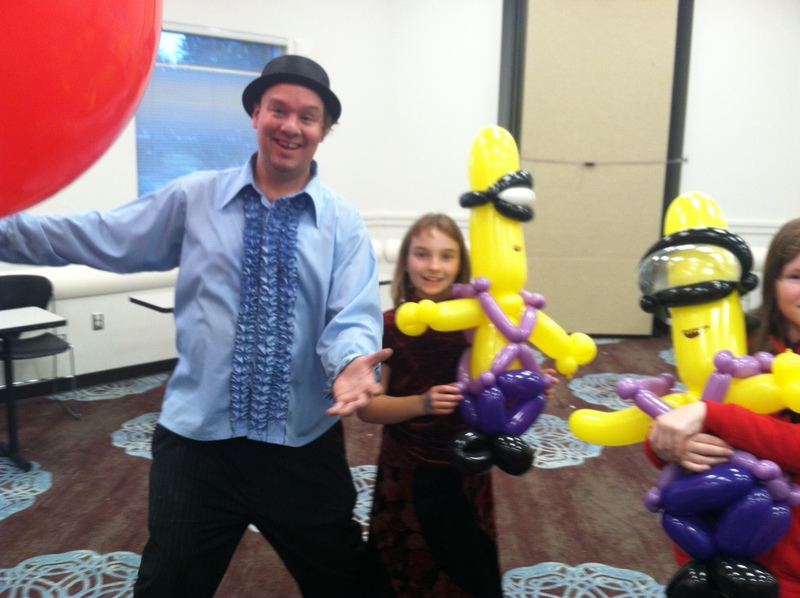 Mittleman Jewish Community Center & private anniversary & birthday parties are delighted by Tuxedo Jimmy's juggling, balloons, & magic. 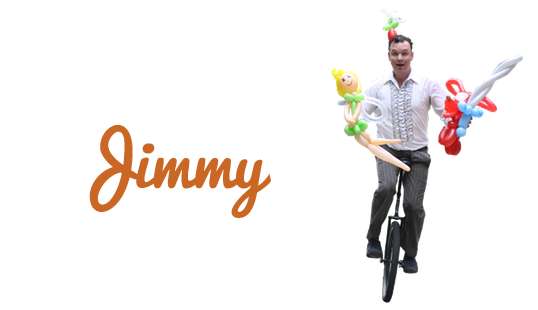 Run Like a Mother, a local sports event, is one of a few public clients to showcase Tuxedo Jimmy's wacky jokes and juggling skills. Traeger Pellet Grills, Costco, and NW Landscape Services of Oregon all turn to Tuxedo Jimmy when their company parties need extra pizzazz. Tuxedo Jimmy brings the party to Gresham, hosted by private family gatherings, and public parties at Portland Community College. 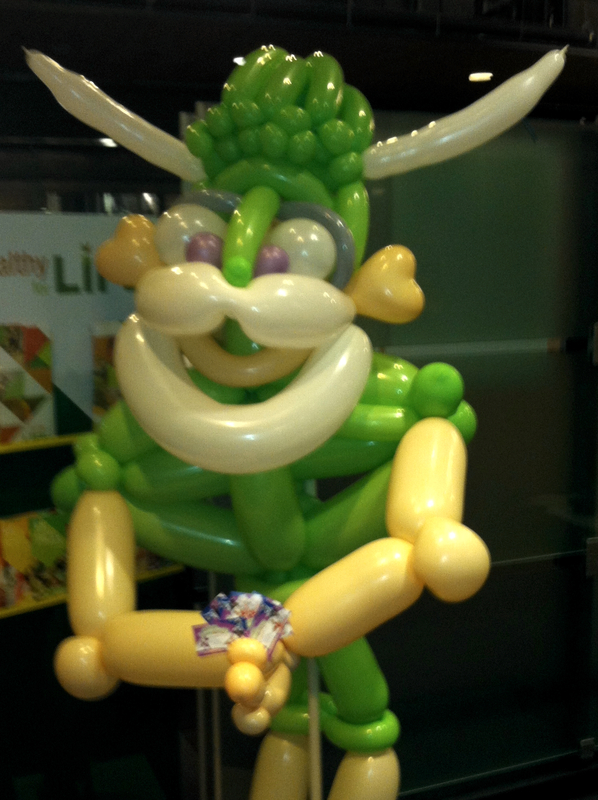 Familes & Vancouver Family Magazine trust Tuxedo Jimmy to create ballon caricatures, jokes, and juggling they won't soon forget! Tuxedo Jimmy has over 35 professional reviews on Gig Salad. "We had Tuxedo Jimmy for entertainment at our neighborhood BBQ. 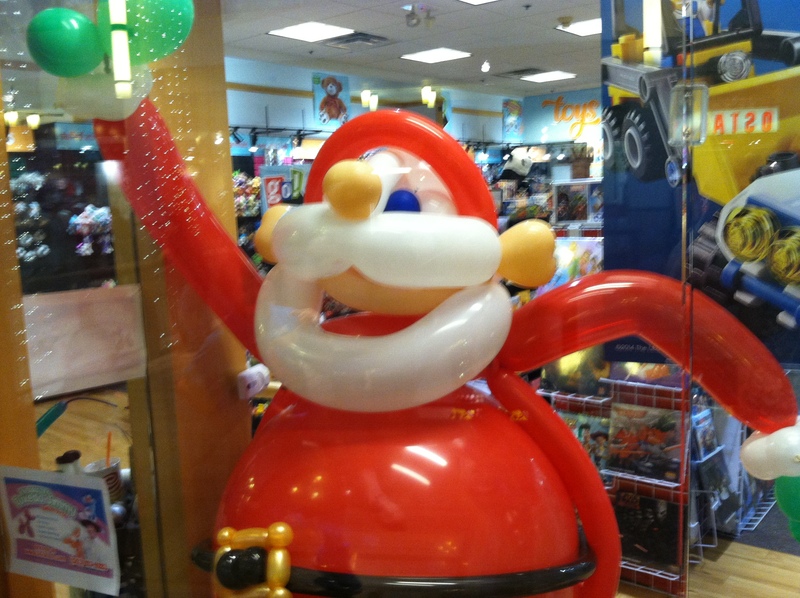 The children absolutely loved him." "He kept them amused with his corny (perfect and appropriate) jokes while they waited, and was very positive and friendly. " 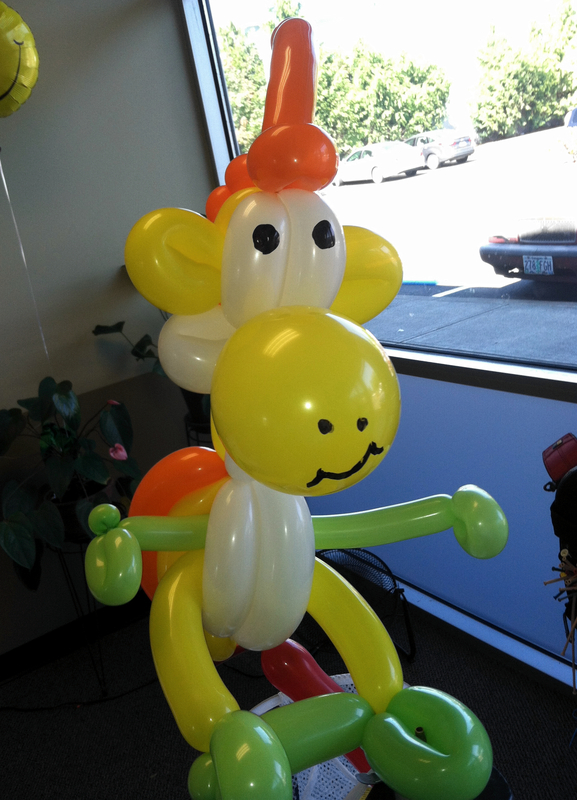 "This was our second year hiring Jimmy for our school carnival, and I really appreciated how dedicated he is." "Everyone loved his creativity, talent and his energy. We are going to be using him again in the near future and have already recommended him to many people!" "The kids loved him! We will be bringing him back next year for sure!" 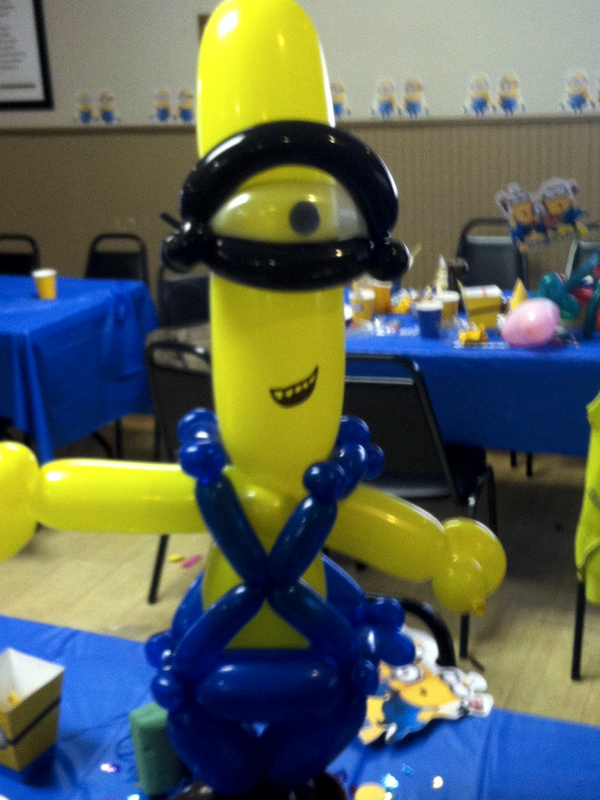 How many ballons do each child or guest receive? At least one! If time & supplies allow, I can make more — but not until everyone has their first one! Do you charge per child or guest? Nope! My rates are hourly (pro tip: parties of 35+ guests should book additional time). What's the minimum time I can hire you? An hour and a half; 90 minutes. Parties of 100+, the minimum is three hours (enlisting my wife’s talents for parties of this size is highly recommended). 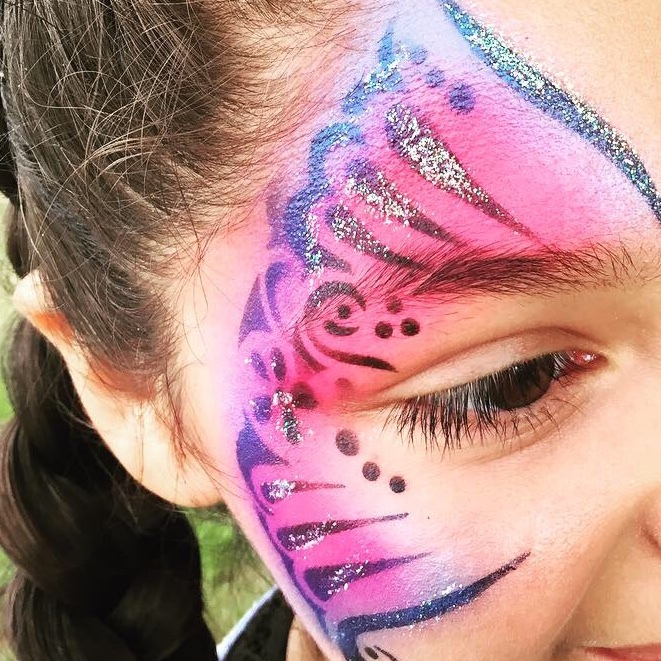 Do you offer face painting? Yes! Book my lovely wife for airbrush face painting and temporary tattoos. She only uses FDA-approved face paints. Any cancellations sooner than two weeks before an event will forfeit half of their fee. Cancellations two or more weeks before an event incur no penalty. Cash, check, or card. Deposits are at Tuxedo Jimmy’s discretion. $1 million USD per corance. With some exceptions, seventy (70) miles from our home base: Portland, OR. Tuxedo Jimmy is a Festival Favorite! 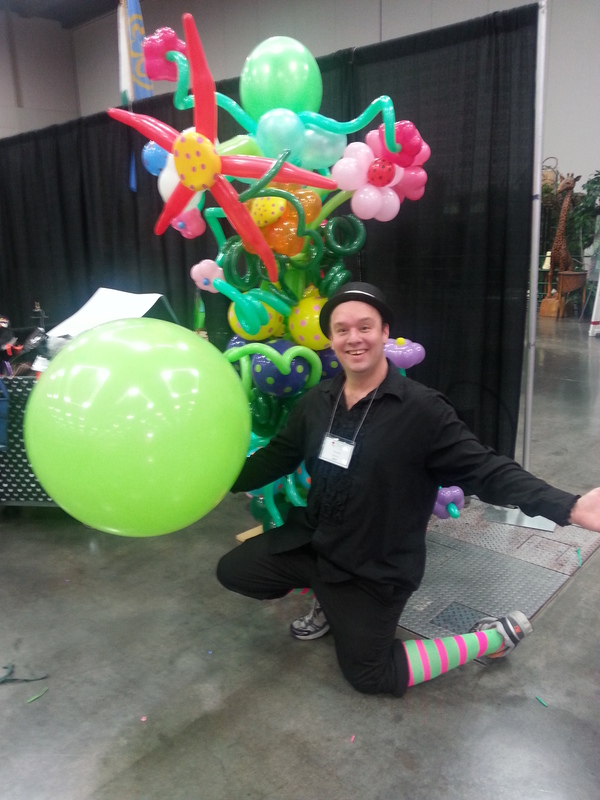 We use Tuxedo Jimmy and Apron Annie for our large Oregon Convention Center festivals, as well as smaller events that include families. Tuxedo Jimmy and Apron Annie are always one of our more popular booths and never fail to leave the kids at our events smiling from ear-to-ear! If you have an event, and need to bring in professional, talented, friendly entertainers, you would do well to hire Tuxedo Jimmy and Apron Annie! 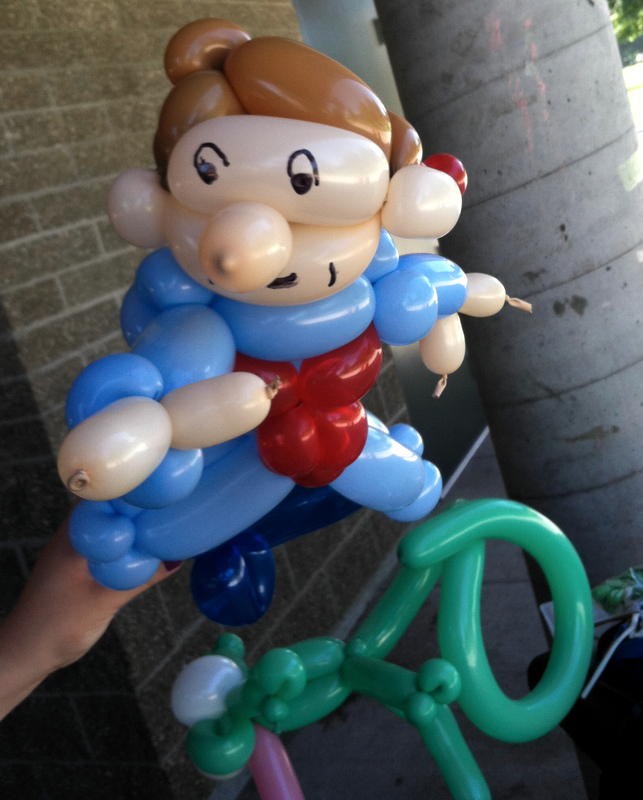 I’m Jimmy, Portland’s local Balloon Twister. 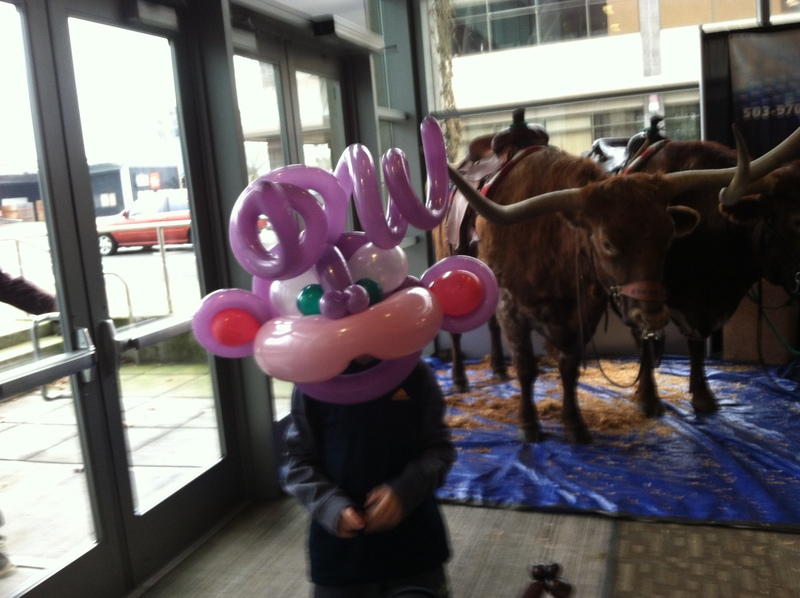 I live in my hometown, Portland, OR, with my wife, business manager, and creative partner, Chandra. When not attending industry conventions and seminars, I am in school, studying American Sign Language (ASL), and theater and stage craft.